Board of Directors — The Heartstringz Foundation, Inc.
Patrick Rowland is a Senior at Chaminade College Preparatory School where he is on the Varsity Wrestling team. He is an avid musician, skilled at piano, ukulele, guitar and bass. He teaches a weekly free ukulele class as a community service. He is very involved in his church and recently attended a national youth gathering in Detroit, where he participated in a week of service and fellowship. In addition to Heartstringz, Patrick is a volunteer for Habitat for Humanity, Beat The Streets LA, and teaches tennis to local kids. He will be attending Duke University in the Fall of 2019, where he will wrestle for the Blue Devils. 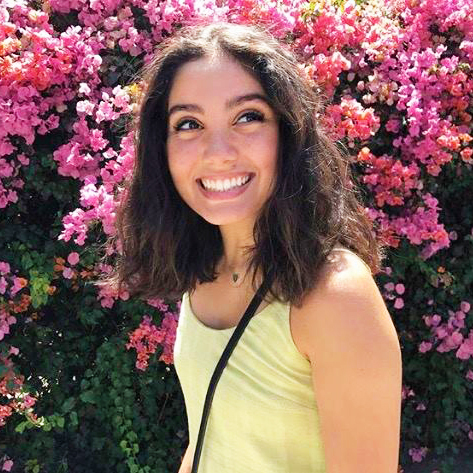 Sam is a first-year student at Scripps College in Claremont, California where she participates in a cappella, the Scripps Environmental Education and Development (SEED) club, Hillel, and the Green Living Learning Community. Her passions include singing, teaching, and playing guitar, piano, and ukulele. 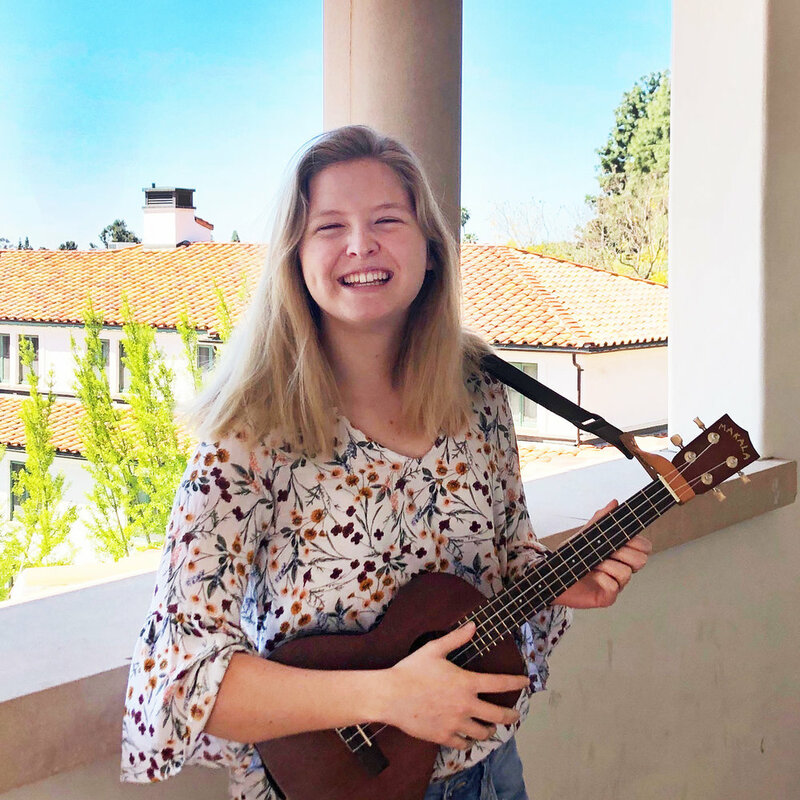 Whether it be song-leading at her synagogue or teaching a ukulele lesson through Heartstringz, she is happiest when she is sharing music with others! Ashley is a senior and a member on the Diversity Team. She teamed with Patrick Rowland to bring the Heartstringz Foundation to Chaminade. She loves to play beach volleyball and has been playing ukulele for five years, piano for three, and she enjoys singing. Ashley had the great opportunity to sing at Carnegie Hall with the Chaminade Choir. She volunteers weekly at Los Robles Hospital, yearly at the Special Olympics, and is an active member of Holy Cross Church. Erin is a first-year sociology major at LMU where she gives her time to the Residents Hall Association, Filipino Cultural Club, and the Gender-Sexuality Alliance. She loves music and everything about it and plays the ukulele, guitar, and piano. She is involved in her parish and is passionate about social justice and making the world a better place. Most importantly, she believes that music and love can save the world! Carly studies Environmental Policy and Sociology. She is involved in a theater company, Studio 301, and has spent many summers working at various institutions mentoring and tutoring elementary school kids. Carly fell in love with the ukulele after acquiring her very own at a Heartstringz fundraiser. She has adored music and the performing arts her whole life, so she is thrilled to bring her love of Heartstringz to the Davis community. Aisha is a Business Economics student at UCLA. 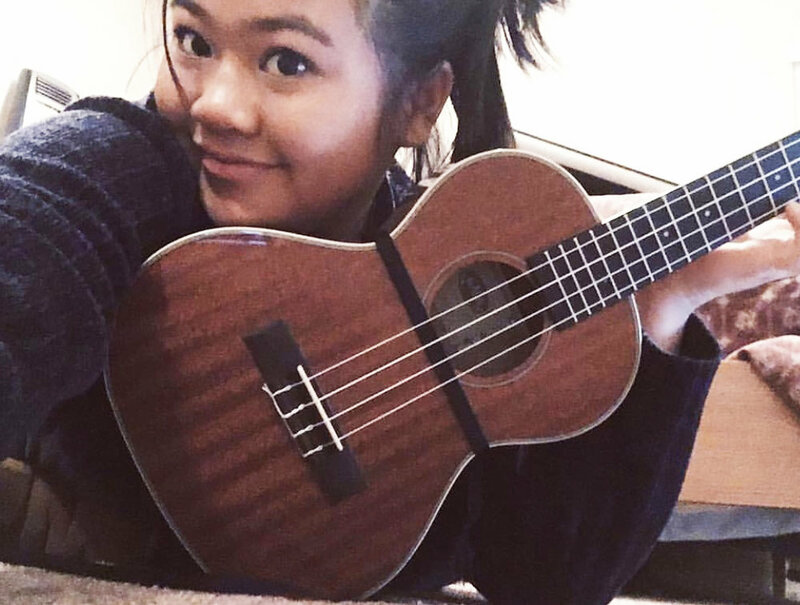 Her passion for ukulele started during Christmas 2015, when founder Natalie Rowland helped her get her first ukulele. 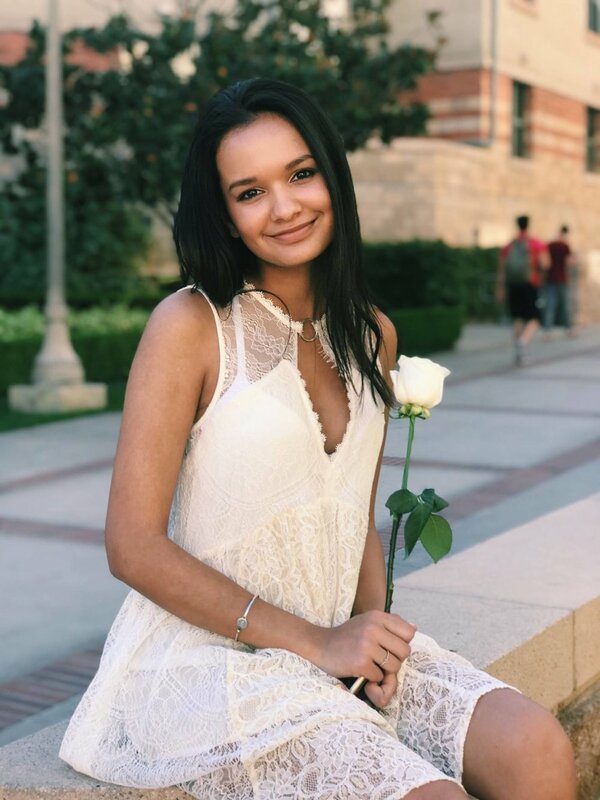 She is involved at UCLA's Student Alumni Association, Bruin Women in Business, and Delta Gamma Sorority. Over the summer, she volunteers for Caring Hand for Children as an Assistant Entertainment Director for the annual fundraiser, raising about $250,000 each year! She is so excited to be bringing her love for music and the performing arts to college with her. Grammy award winning saxophonist Scheila Gonzalez has toured the world as a founding member of Dweezil Zappa’s highly acclaimed group, Zappa Plays Zappa. She has garnered rave reviews as a multi-instrumentalist and earned a Grammy for Best Rock Instrumental Performance. When not on tour, Scheila maintains a busy schedule as an in-demand freelance and session musician. Over the years this versatile artist and educator has performed and recorded with artists such as Rod Stewart, Sheila E., Gwen Stefani, Missing Persons, Garth Brooks, Big Bad Voodoo Daddy, Joe Williams, Diane Schuur, The DIVA Jazz Orchestra with Nancy Wilson, The Temptations and The Four Tops, to name a few. During her time with Dweezil's band, she has had the opportunity to share the stage with such notable artists as Steve Vai, Terry Bozzio, Warren DiMartini, Chester Thompson, Vinnie Colaiuta, and jazz legend Chick Corea. Some of her television appearances include Dancing With The Stars, American Idol, The Tonight Show, Jimmy Kimmel Live, Conan O'Brien and the BET Music Awards. She can also be seen in the Christopher Guest film For Your Consideration. Scheila loves spending time with her friends and her family, especially her beautiful ninety-nine year old Grandma, wonderfully talented husband, guitarist James Santiago, and their sweet pup, “Fender,” named after the classic Fender guitar. Doing what she loves for a living is a gift. Music touches the hearts and souls of so many and helping a person leave their troubles behind, if only for a few moments, is truly a privilege. She is grateful for all of the opportunities a career in music has afforded her and through her involvement in Heartstringz hopes to bring a sense of hope and a smile to the faces of those going through difficult times. David Junk launched the first Western multinational record company in the former Soviet Union, and served as President of Universal Music Group in Moscow. In 2006, David returned to Los Angeles to help manage the Universal subsidiary Machete. As General Manager, Machete became the top Latin Hip Hop and Reggaeton music label in the U.S. Market. In 2007, David founded DJAM, a Los Angeles based international management, marketing and publicity firm and has written and produced music contests and reality shows for European TV networks. In 2013, David joined the Entertainment Relations division of Gibson Brands opening the first Gibson showroom in Russia. In 2015, David was promoted to Gibson's Director of Entertainment Relations for North America East Coast based in New York City. An ardent social justice advocate, David believes in the power of art to promote unity and positive social change. In response to the 2004 terrorist attack on a Russian school, he organized and produced the largest charity concert in the countryʼs history - the Concert For Children of Beslan, which aired on MTV and was later released on CD and DVD worldwide. David was Co-Chair of the Peace and Justice Advocates of Pasadena CA from 2011-2013. Carrie Liaskos is a marketing and communications professional at inVentiv Health, a top-tier professional services organization that accelerates the clinical and commercial success of biopharmaceutical companies worldwide. For the past 16 years, Carrie has worked with pharmaceutical companies to make meaningful contributions to patient communities through disease awareness campaigns, patient advocacy partnerships and education on specific therapies. Creativity has been the hallmark of her award-winning work. With an eye-towards the patient perspective, she brings to life their narrative in powerful, arts-based platforms including three original one act plays, three films, a comic book series, and an original song reaching audience within the cystic fibrosis, diabetes and heart disease communities. Carrie graduated from the University of Virginia with a B.A. in Anthropology. She lives in Westchester with her husband and two young sons. She is an enthusiastic cyclist and avid fundraiser for the Multiple Sclerosis Society. Julie Segovia Rowland has had the great fortune of working in the music business, in the theatre, as a writer, and currently as a certified yoga instructor and yoga therapist. Her most rewarding and favorite job was staying home to raise her two children. She has spent countless hours as a volunteer for many non-profit organizations, including MOMS Club, an organization dedicated to supporting women who choose to stay home to raise their children, where she served as president of her local chapter and regional director for Southern California. At her church she served two terms as president, as chairperson of a steering committee, and as a trained Stephen Minister and leader. Julie also teaches a weekly free yoga class as part of her church's community outreach program. Her work with Heartstringz combines many of her past endeavors, and is fueled by her passion for improving the quality of the lives of those in her communities near and far. She earned her Yoga Therapy Credential from Loyola Marymount University and is currently serving as a Yoga Therapist for Dr. Dean Ornish’s Program for Reversing Heart Disease at UCLA Medical Center, teaching yoga to cardiac rehab patients. Tom Rowland is the Executive Vice President of Film & Television Music for the Universal Music Group, the largest collection of recorded music in the world. He began his music career as a college radio DJ, recording artist and songwriter. Tom serves as Rob Zombie’s music supervisor (Halloween, Halloween II, The Devil’s Rejects, Lords of Salem, 31) and has produced many soundtrack albums. He produced, mixed and engineered the first posthumous Michael Jackson release, The Stripped Mixes. He is a voting member of NARAS (Grammy Awards) and is a member of the Producers and Engineers wing of that organization. Prior to his career in music, Tom worked in political and corporate public relations in his hometown of Washington D.C. He is a graduate of the College of William & Mary, where he studied psychology, religion and music and shared a bathroom with Thomas Jefferson. He has been happily married for 20 years and is the proud father of Heartstringz Founder Natalie and fellow Board Member Patrick. He is an Eagle Scout and owns a Kooikerhondje. Jodi Lascoumes hails from the Great Pacific Northwest city of Seattle, but has called Los Angeles home since the 80s. She has been a guitar and piano player since the age of eleven. She spent over twenty years in the finance industry, all the while raising her children. She is a world traveler, a jewelry designer, and loves to cook. Mike holds a degree in Music Business from NYU. A native of New Jersey, he moved to Los Angeles in 1986. He has worked for over 15 years in the music business, notably as chief engineer at the legendary A&M Studios. Mike has also spent 21 years in motion picture business, mixing sound and building studios. He is a father of three and donates some of his free time playing bass in his church band.